Peter Hansborough Bell participated in all of the military struggles of Texas from the Revolution to the Civil War. As statesman, he served two terms as governor and in the U. S. Congress. Born 12 May 1812 in Spotsylvania County, Virginia, Bell remained in Virginia until he left to join the fight for the Texas Independence. He fought as a private in the Battle of San Jacinto. He remained in the Texas Army until 1839. The next year, he joined the Texas Rangers under Jack Hays, and held the rank of Major in the Somervell Expedition of 1842. In 1845, Bell resigned as captain of a company of Rangers to join the U. S. Army in the Mexican-American War. He won distinction in that conflict at the battle of Buena Vista. After returning from the war, Bell was elected third governor of the state of Texas in 1849, and again in 1851. He resigned near the end of his second term as governor to fill a vacancy in the U. S. Congress, where he served until 1857. When he left the District of Columbia, he married Ella Reeves Eaton Dickens and moved to her home in Littleton, NC. Bell served as colonel in the Confederate Army, then returned to North Carolina, where remained for over thirty years before his death on March 8, 1898. The remains of both Bell and his wife were removed to Texas in 1930 and reinterred in the State Cemetery in Austin. 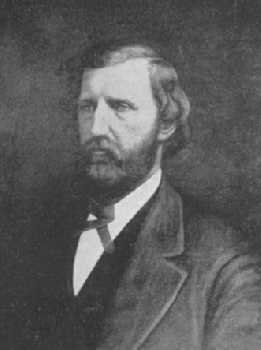 In 1850 while Bell was serving as governor, Bell County was formed and named in his honor. The following year, the name of the county seat was changed from Nolanville to Belton. In 1936, the state of Texas erected a monument honoring Bell, which stands on the courthouse grounds in Belton.